All across the South Downs and High Weald and down to the coast, artists of all persuasions are plying their craft in readiness for a busy spring and summer of open studios and art trails. 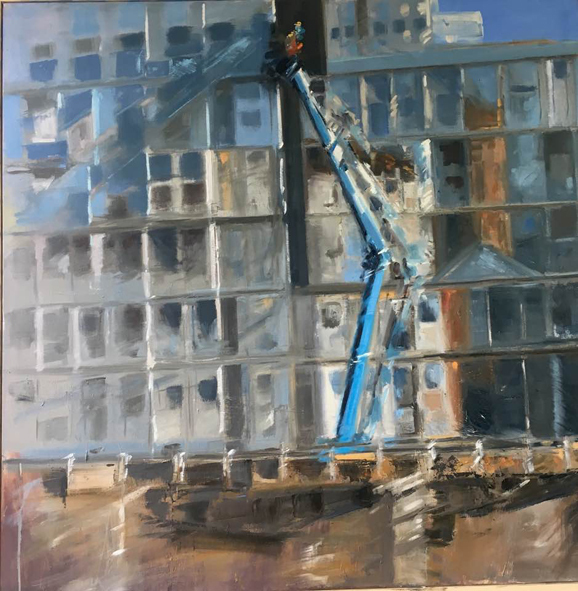 For some artists, like painter Pete Gilbert in the New Forest at the western reaches of our region, their local open studios event is just one of a number of exhibitions that they work towards. For others it will be the highlight of their production year. It may mean the debut for new artists, or a tried and tested platform for seasoned artists. For all artists and makers alike, though, these events provide an opportunity to air their work to a new audience, to meet and chat with visitors, and to see the work of their peers. And for the visitor it’s a chance to see the diverse range of talent all around, and find and acquire an original piece of fabulous work. 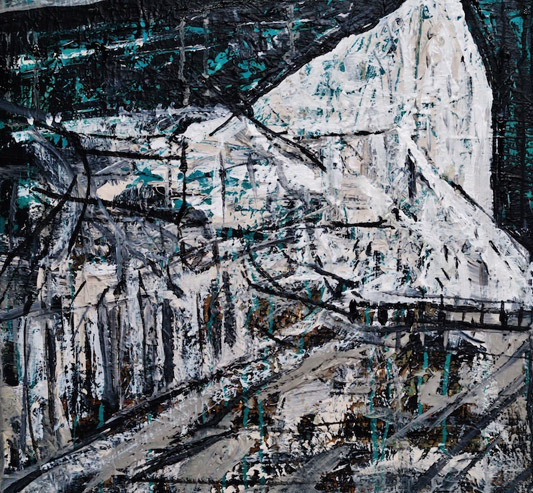 Over four weekends in May, artists open their doors to offer work from over 1,200 artists exhibiting in more than 180 venues across the city of Brighton and Hove and beyond. 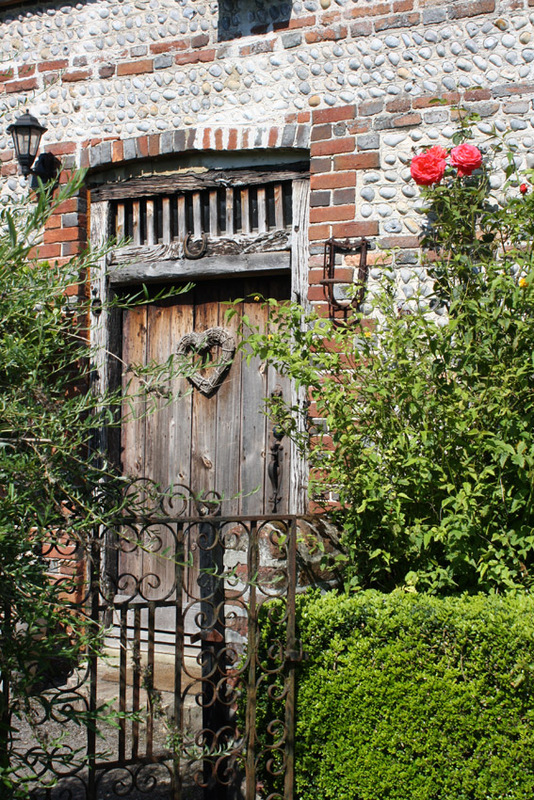 The Open Houses, grouped in trails around the city and beyond, have their own unique character – from the fishermen’s houses of Hanover, Regency houses of Brunswick, to the urban warehouse spaces of the North Laines and cottages of the South Downs village of Ditchling. Visiting Open Houses offers the chance meet the artists and to buy work directly from them. 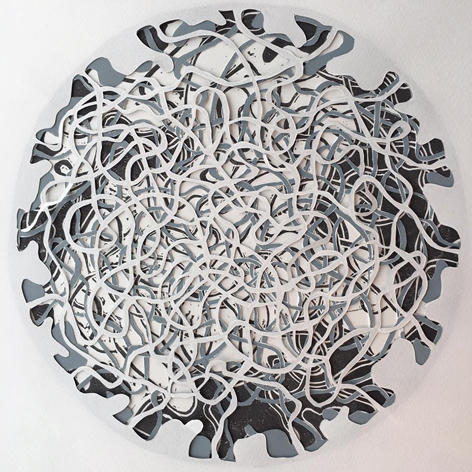 There is a hugely diverse selection of artwork on show, from original paintings, prints, graffiti arts, ceramics and textiles to photography, sculpture, crafts, jewellery and many other media. Visiting local artists in their homes and studios is an unmissable part of the Brighton Festival season. With homemade tea and cake on offer too, the Artists Open Houses are a very special weekend treat. For more info go to www.aoh.org.uk. Littlehampton’s Organisation of Community Arts will be collaborating with Brighton Open Market to provide an Open Arts & Culture Day where people can enjoy a free art experience during Brighton Fringe. Almost 300 artists and craftspeople from around the South East will open their doors to the public this June so visitors can see them at work in their own studios. The event, called South East Open Studios, is now in its 21st year, and is a well-established highlight of the cultural calendar. Celebrating outstanding local art, the South East Open Studios event will run from 9th to 25th June. Artists and craftspeople will exhibit their work made in a wide range of media, including traditional oils and watercolours, ceramics, textiles, photography, fine metalwork, digital and mixed media, glassware, printmaking, textiles, sculpture, woodwork, jewellery and more. There is such a variety to choose from, it’s worth taking a whole day, or several, to plot a route around some exciting studios and stopping along the way for lunch. There is no pressure to purchase, but visitors will have the chance to meet, talk to and see the artists at work. You’re guaranteed a warm and friendly welcome – and it’s all completely free! 9th to 25th June 2017, 7 days a week, 10am-5pm. Not all artists exhibit every day, so check your guidebook or visit www.seos-art.org for details. Sussex cow painter Veronica van Eijk will open her Longleys Studio Barns again this year for the first two weekends in June. Joined by ten professional artists, Veronica will present an even bigger selection of highly desirable yet affordable art. 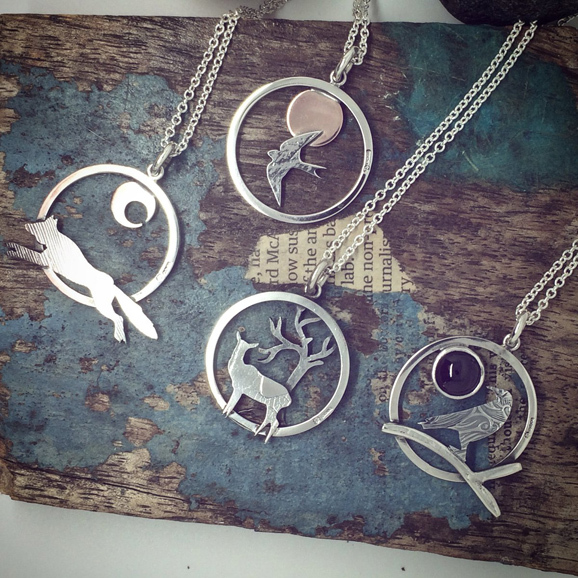 The exhibition will offer work from printmakers, painters, sculptors, ceramicists and jewellers. The Longleys cows are looking forward to your company. The free range chickens in particular are hoping for a few morsels of our own home-made and (by now quite famous!) cakes. These lovely peaceful gardens are a perfect place to feed your senses with art and delicious refreshments. All proceeds of the refreshments will go as usual to St Wilfrid’s Hospice. See www.longleysstudiobarns.com and www.vaneijkarts.com for details. 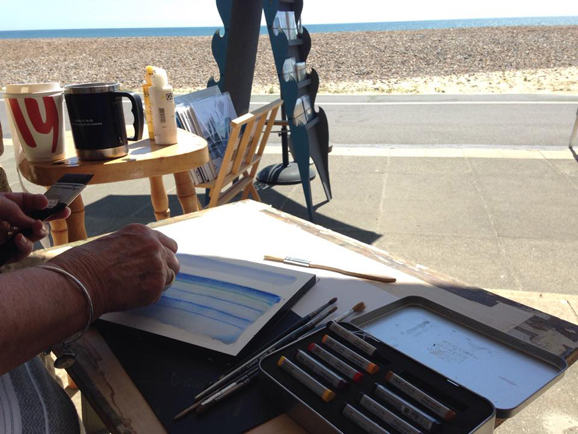 adurArtcollective is a not-for-profit, artist-led group established to organise, promote and develop visual arts in Shoreham-by-Sea and the surrounding area of Adur in Sussex. Our main event, Adur Art Trail, is taking a year off in 2017 and it is now going to be a biennial event to give the artists and organisers some breathing space and keep it fresh. During this interim year we have not been idle but have been concentrating all of our efforts on developing our fantastic new website adurartcollective.co.uk and putting on an exciting year-round programme for the benefit of both our members and the local community. The new website Whats On Calendar has a varied array of events, exhibitions, workshops, talks and demonstrations and much interesting information on the News/Blog making it a ‘go to’ site for all things arty! As well as 120 artists listings you will also find a shop full of original artwork, cards and prints and artists’ materials so do take a look. This year we are proud to present our first adurArt- collective Summer Exhibition at Skyway Gallery, Shoreham, from 3rd to 18th June. It will take place to mark the usual three weekends of Adur Art Trail at the beginning of June and will have many spin-off events around it to enjoy and participate in so check the website for the full programme. Bridge Arts in Uckfield, the volunteer-led cultural organisation based in East Sussex, are holding their annual Arts Fair on 9th and 10th June in the Uckfield Civic Centre. Building on ten years of success as the Uckfield Art Trail, the group changed its name last year to Bridge Arts in Uckfield, but still has the same professionalism and commitment for holding cultural events encouraging the arts. 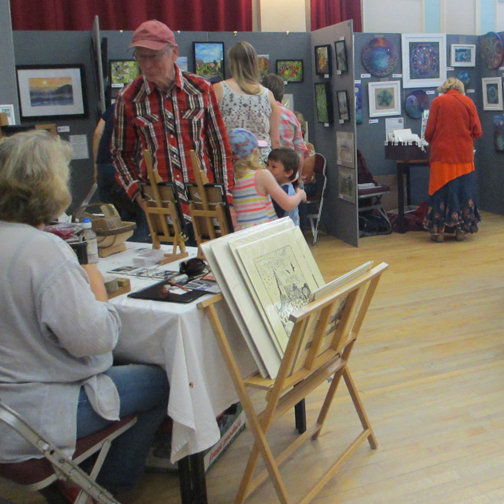 The Summer Art Fair brings in hundreds of visitors to admire and buy paintings, jewellery, ceramics, glass, textiles, prints, photography and digital art. This year there is a special display of the children’s painting competition on the theme ‘Celebrate Uckfield’ with winners announced on Saturday. Creative workshops are held on both days. See www.bridge-arts.org and Facebook Bridge Arts in Uckfield for more details. Opening ceremony at 7pm on Saturday. Entrance free, donations welcome. Worthing Artists Open Houses’ 2017 celebration of local artistic talent offers an impressive variety of work, in delightfully different venues. The great strength of an art trail is the many layered experience it offers to the local community: the opportunity to step into private houses and studios, meet artists and talk with them about their work. 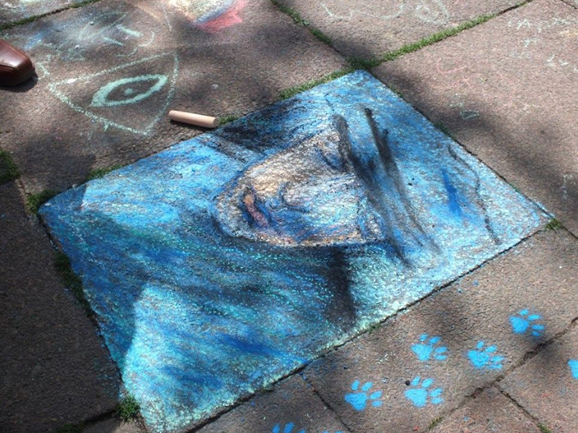 Connections made through those conversations have many outcomes, including influencing young people in their artistic career choices, sparking new friendships, bringing old dreams of creative activity back to life. Who would think that a grassroots event, organised by volunteers and run on a modest budget drawn from venue fees, could generate such an impact. West End Gallery at 87 Rowlands Road, Worthing is an artist-run gallery and studio space. Opened in 2016 it is a welcome addition to the growing number of small creative businesses in Worthing’s ‘West End’. For the owners, Worthing artists Barry Williams and Sarah Sepe, the concept behind the Gallery was the desire to combine their working studios with a gallery displaying and selling their work. A traditional Victorian corner shop, the Gallery’s splendid feature windows are an ideal stage for showing work and passers-by are attracted by the regularly changing display. 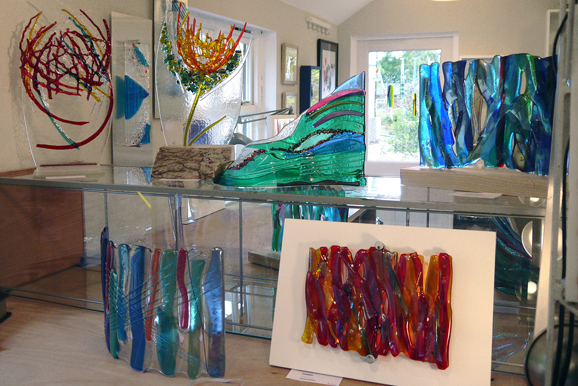 For the Worthing Artists Open House Trail, the Gallery will open from 11am to 4pm, Thursday to Sunday. 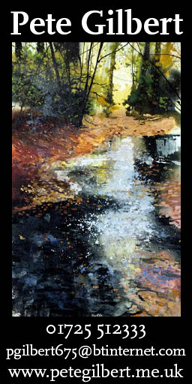 Sarah and Barry will be joined by guest artists Nicky Bell (abstract watercolours and photography) and Lumi Ghita (jewellery). Visitors will be able to explore Sarah and Barry’s studio spaces, see works in progress and chat to the artists. Barry and Sarah host monthly Networking Breakfasts in Worthing for local artists and anyone interested in the Arts on the 7th day of each month at Small Batch Coffee Roasters in Portland Place, Worthing. For more information visit worthingartstudios.com or Facebook (WestEndGalleryWorthing) or email to info@worthingartstudios.com. As part of the July Horsham Arts Festival, Horsham Artists Open Studios group is staging an Art Trail Exhibition over the weekends 8th/9th and 15th/16th July. With an especially designed map of the local area, you will be able to plan your visits to the studios and exhibition venues where you will be able to talk with the artists and makers about their choice of materials and the different ways in which they approach their work. 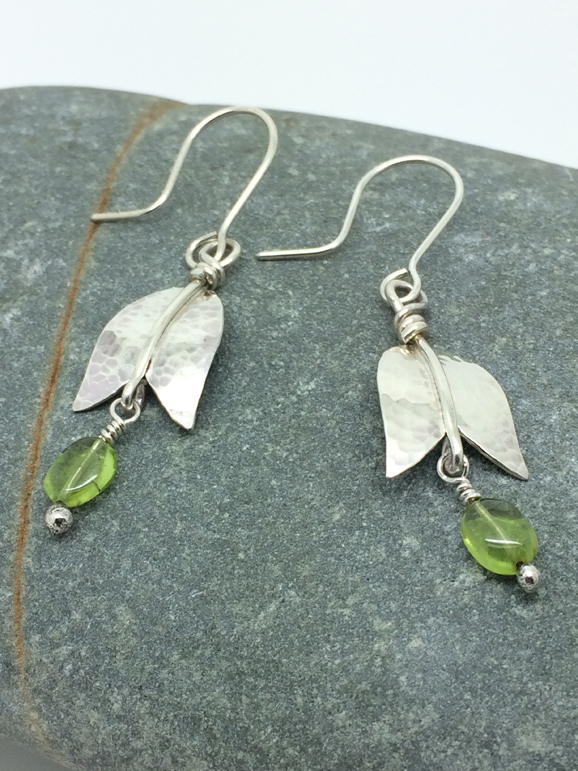 Come and find out how jewellery is made using a range of stones, metals and beads. 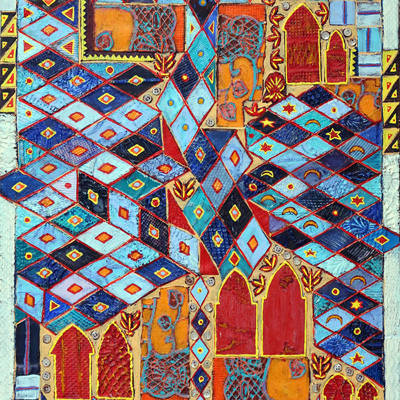 Discover the different ways visual artists work with wood, oil and water-colour paints and fabric. The map will also provide you with full details about the availability of parking, refreshments, access arrangements and toilets. You will also find a list of artists and makers with an accompanying thumbnail image of their work so you will be able to plan your route. Full details and the venues where you will be able to pick up a trail map prior to the event will be available on the website www.horshamartistsopenstudios.co.uk. 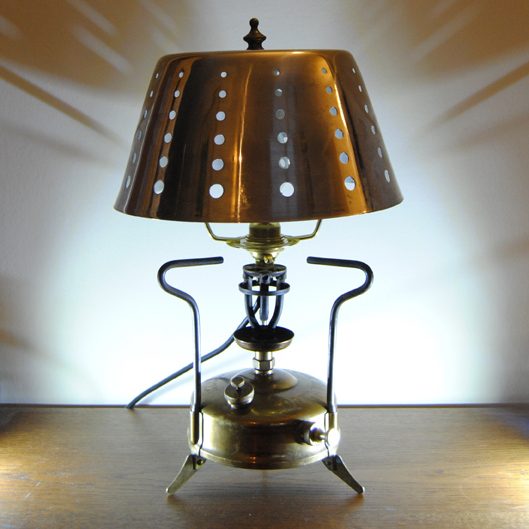 This is a truly exciting opportunity to see and talk with local artists and makers at work. Come mid-August the whole town of Arundel becomes a gallery, and Arundel artist, designer and tutor Karin Moorhouse is once again opening her doors at 1 School Lane. The trail runs from 19th to 28th August and the open hours are from 12 to 5.30pm weekends and bank holidays and 2pm to 5.30pm weekdays. Karin has lived in Arundel for 16 years and, although retaining a soft spot for parts of London, her old stomping ground, has always been inspired by her immediate surroundings – Climping, The South Downs, The River, The Earl Collector’s Garden (she was Artist in Residence during 2014) and many other less well-known spots. All these favourite places appear regularly in her work, either as plein air paintings or taken further and worked on ending up as larger more abstracted final works. Her favoured medium is oil. Artwave is an annual festival of artists and makers across Lewes, Seaford and surrounding rural areas. 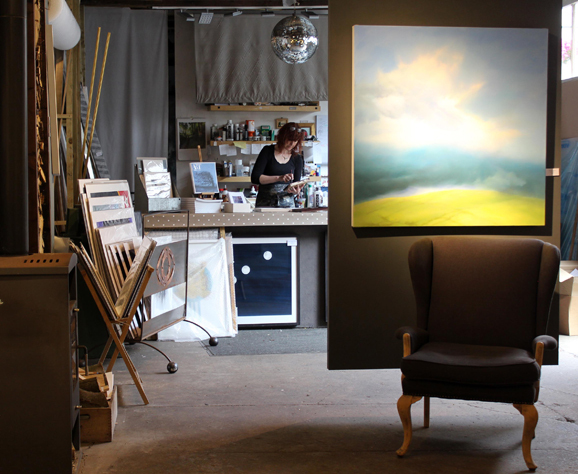 Over 100 venues, including private homes and workshops, gardens, studios, and galleries, open their doors to art-loving visitors, inviting them to see how they work, to buy art direct and take part in workshops and events. Organised into town and rural trails, visitors can enjoy a mix of arts and craft, including paintings, prints, sculpture, jewellery, textiles, ceramics and more. Free for visitors and open to all, for full information visit www.artwavefestival.org.